- the base plate in bending under the left column flange At,pl,Rd - see 6.2.6.11. - the base plate in bending under the right column flange At,plRd - see 6.2.6.11. - the left column flange and web in compression Ac,fc,Rd - see 6.2.6.7. - the right column flange and web in compression AcfcRd - see 6.2.6.7. (6) For the calculation of zTl, zCl, zT,r, zC,r see 6.2.8.1. A\1,Rd " ___, Ar,1^ "
(1) The rotational stiffness of a joint should be determined from the flexibilities of its basic components, each represented by an elastic stiffness coefficient X, obtained from 6.3.2. NOTE: These elastic stiffness coefficients are for general application. (2) For bolted end-plate connections with more than one row of bolts in tension, the stiffness coefficients X for the related basic components should be combined. For beam-to-column joints and beam splices a method is given in 6.3.3 and for column bases a method is given in 6.3.4. (3) In a bolted connection with more than one bolt-row in tension, as a simplification the contribution of any bolt-row may be neglected, provided that the contributions of all other bolt-rows closer to the centre of compression are also neglected. The number of bolt-rows retained need not necessarily be the same as for the determination of the design moment resistance. NOTE: The initial rotational stiffness Sj,ini of the joint is given by expression (6.27) with ju = 1,0. 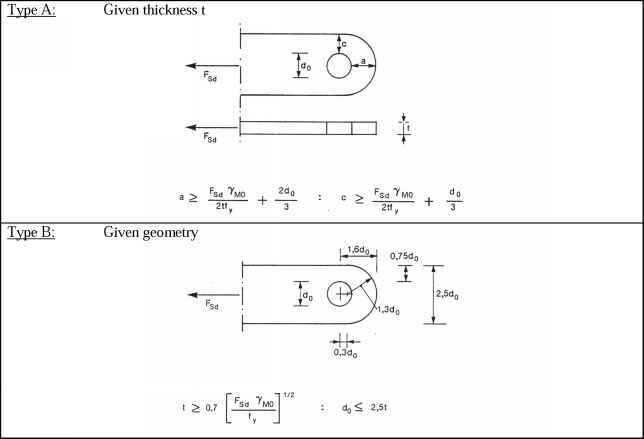 (5) The rotational stiffness Sj of a column base, for a moment Mj,Ed less than the design moment resistance Mj,Rd of the joint, may be obtained with sufficient accuracy from 6.3.4.
in which the coefficient y/ is obtained from Table 6.8.